The industrial hygiene and indoor air quality professionals at Clark Seif Clark identify exposure risks to solvents and other chemicals. While people can be exposed to solvents through skin contact or ingestion, a common route of exposure is due to inhalation. Millions of workers in the United States are exposed to solvents on a daily basis according to the Occupational Safety and Health Administration (OSHA). The agency also reports solvents share many chemical, physical and biological properties that warrant national attention be directed to them as a group. 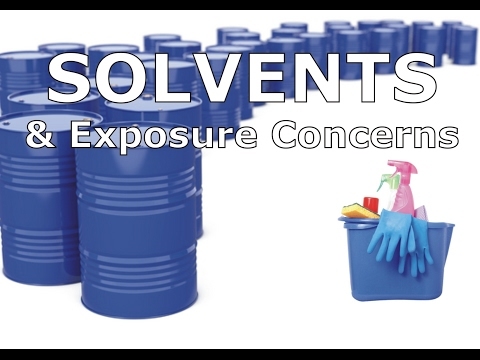 Solvents, as described by the National Institute for Occupational Safety and Health (NIOSH), are substances capable of dissolving or dispersing one or more other substances. While most solvents come in liquid form, they can also be used as a gas in some applications. Organic solvents can generally be classified into three main types: oxygenated solvents, hydrocarbon solvents and halogenated solvents. These chemical compounds can be found in many residential environments and workplaces. In the home, people can be exposed to solvents when using cleaning products, personal care products, nail polish remover, paints, glues, adhesives and various other household products. At work, employees can be exposed to solvents if their work involves dip cleaning, vapor degreasing, manufacturing that uses glues and adhesives, paint stripping, fueling, transferring flammable liquids, painting, offset printing, dry cleaning, installing carpets, and cleaning electronics, automotive parts, and circuit boards. Workers may also be exposed if they are involved with manufacturing soap, printed circuit boards, semiconductors, personal care products, pharmaceuticals or textiles among other occupations.